One of the 20th century’s most influential artists is immortalised by a legendary fashion photographer. 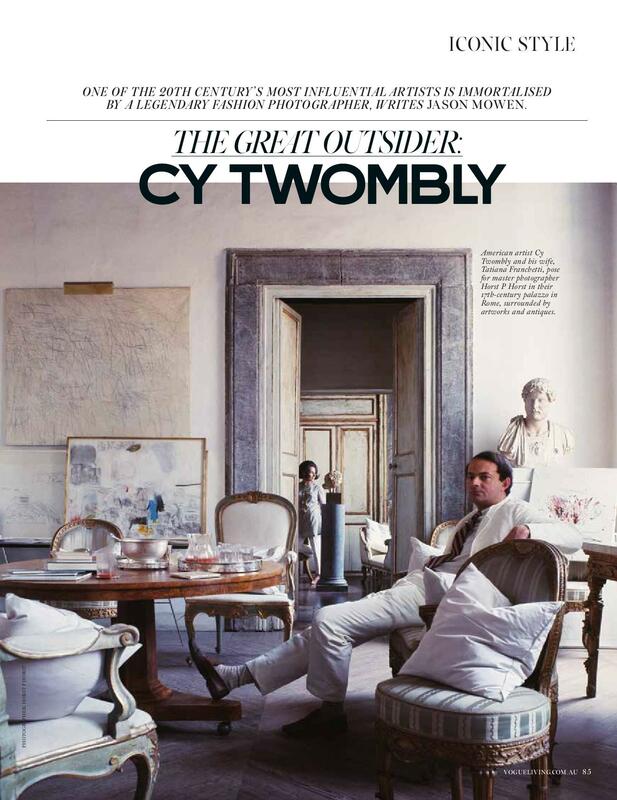 NEVER WAS THE LINE BETWEEN CONTEMPORARY ART and interior decoration so beautifully blurred as when, in 1966, Diana Vreeland sent fashion photography legend Horst P Horst to shoot American artist Edwin Parker ‘Cy’ Twombly at home in his palazzo in Rome. 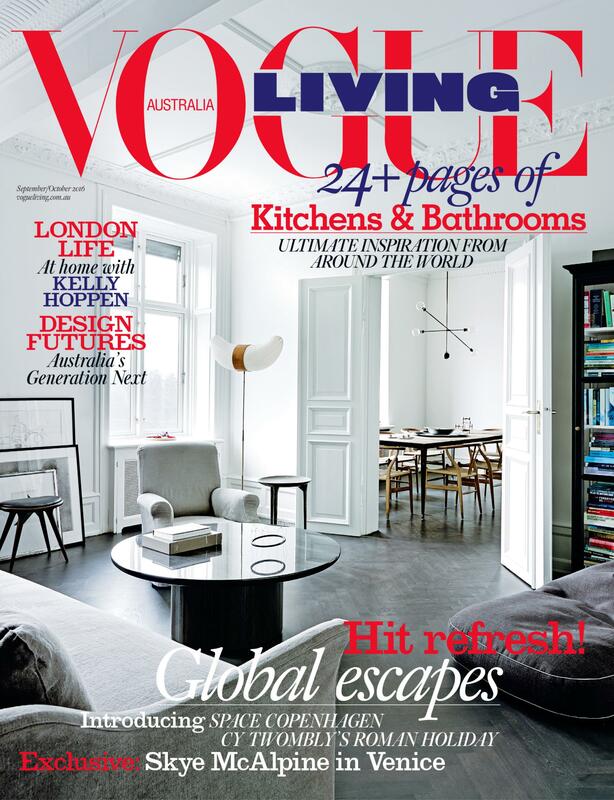 ‘Roman Classic Surprise’ was part of an ongoing series in Vogue showcasing beautiful homes and people around the world — those with the “taste and talent and originality to create a rare ambience in their daily lives”, according to Vreeland. Horst would avoid ‘styling’ or rearranging furniture to capture the way the subject really lived and it’s through his lens that we discover the private world of Cy Twombly, one of the most sophisticated, emotional and ultimately influential painters of the 20th century. Sometimes described as the great outsider of contemporary art, Twombly lived life to the beat of his own drum. In 1957, the artist abandoned New York for Rome, a highly unusual move for the time as the entire art world seemed to be gravitating in the opposite direction. And as Robert Rauschenberg and Jasper Johns paved the way from Abstract Expressionism to Pop and Minimal art, Twombly — already enamoured of the myths and history of the Mediterranean — focussed on the beauty of his Italian surroundings, albeit with a good dose of graffiti, sexual imagery and child-like scrawls. Twombly and his wife, Italian aristocrat and fellow painter Tatiana Franchetti, are immortalised by Horst as they float through an enfilade of rooms in their 17th-century palazzo, dressed with casual sophistication and cast in a patrician light. 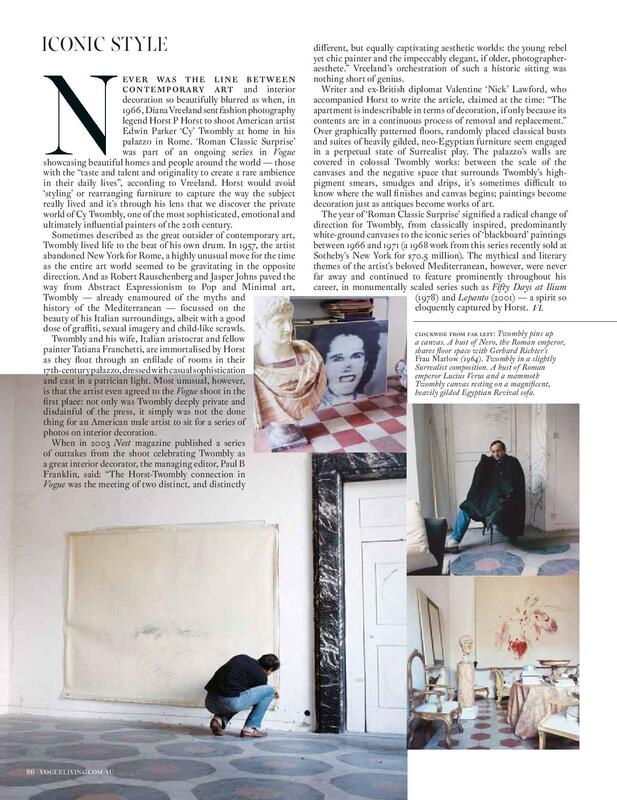 Most unusual, however, is that the artist even agreed to the Vogue shoot in the first place: not only was Twombly deeply private and disdainful of the press, it simply was not the done thing for an American male artist to sit for a series of photos on interior decoration. covered in colossal Twombly works: between the scale of the canvases and the negative space that surrounds Twombly’s highpigment smears, smudges and drips, it’s sometimes difficult to know where the wall finishes and canvas begins; paintings become decoration just as antiques become works of art. The year of ‘Roman Classic Surprise’ signified a radical change of direction for Twombly, from classically inspired, predominantly white-ground canvases to the iconic series of ‘blackboard’ paintings between 1966 and 1971 (a 1968 work from this series recently sold at Sotheby’s New York for $70.5 million). The mythical and literary themes of the artist’s beloved Mediterranean, however, were never far away and continued to feature prominently throughout his career, in monumentally scaled series such as Fifty Days at Ilium (1978) and Lepanto (2001) — a spirit so eloquently captured by Horst.